A windstorm inspection also referred to as a windstorm mitigation inspection, windstorm insurance inspection or “wind mitigation inspection,” is a kind of home inspection standard in the coastal areas of the Southeastern United States. The purpose of a windstorm inspection is to determine the appropriateness of a given structure’s construction in the event of strong winds, such as those present in a hurricane. 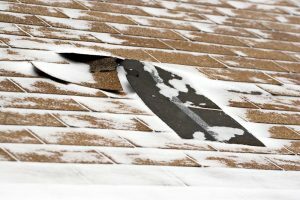 Windstorm inspections look for construction features that have been shown to reduce losses in hurricanes, such as a hip roof and concrete block construction. The presence of gable end bracing, shutters and opening protections, roof to wall attachments such as toe nails, clips or hurricane straps, and the presence of a secondary water resistance barrier are evidence of losses. A homeowner with windstorm insurance can often submit the results of a windstorm inspection to their insurer to obtain discounts on their windstorm insurance. In Florida, for example, premium discounts for favorable wind mitigation features are mandated by State law and can total 45% of the original policy’s premium. In coastal parts of Texas, the State mandates windstorm inspections before certifying a new building. Licensed general contractor, building contractor, architect, engineer, building inspector or home inspector perform a wind mitigation inspection in Florida. The information gathered is presented in a standard wind mitigation form, OIR-B1-1802, commonly referred to as the 1802 form. As of Feb 1, 2012,1 all inspections must have photos showing each feature listed on the wind mitigation form. 1. The age of the home – determines what building code was in place at the time of construction. 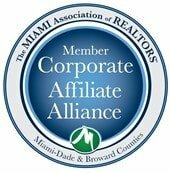 Get your Miami Wind Mitigation Inspection at Atlantic Building Inspection now! 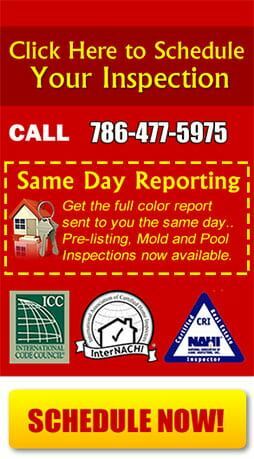 For more home inspection services, call your Miami Home Inspection Company and have a Peace of Mind!